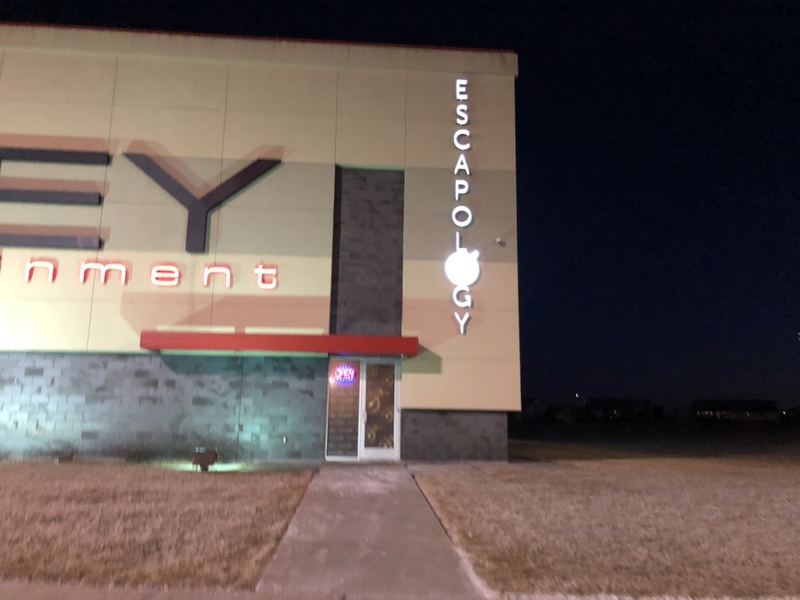 Escapology Escape Rooms new room ‘Mansion Murder’ now open – Wichita By E.B. 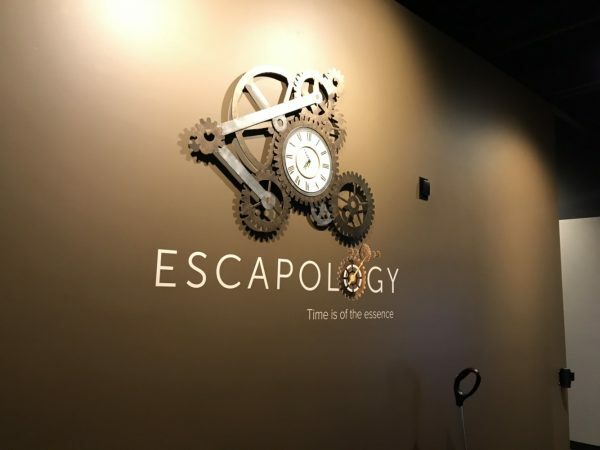 We love escape rooms and when we found out that Escapology Escape Rooms inside The Alley had a new room available, my family immediately put a date on our calendar for it. Here’s the basic information on the room. Scottish Highlands; New Year’s Eve, 1999. You are Robert Montgomerie, the only remaining direct heir to the Kildermorie Estate and the Montgomerie family fortune. You’re attending a family gathering, hosted by your Grandfather, Hugh ‘Monty’ Montgomerie, the 9th Earl of Kildermorie to celebrate the dawn of the new Millennium. As the guests raise a toast, a scream fills the air…Your Grandfather is found dead in the library – and it looks like MURDER! Suddenly, you’re bundled into the Drawing Room and the door is locked. Confused, you bang on the door and call for help until it dawns on you… that as the direct heir, all fingers are pointed at you! You realize you’ve been framed! But who would want to kill your Grandfather… and why? You overhear the Police being called, but know that, as the Kildermorie Estate is hidden deep in the Scottish Highlands, it will take them 60 minutes to arrive. For centuries, the Montgomerie family assigned a single gatekeeper to its secret family history. The Earl’s sudden demise means he can no longer pass-on these secrets, but the wise old man ensured there was sufficient evidence, hidden throughout the family residence, should anything unexpectedly happen to him! What he didn’t anticipate is you’d need to uncover these secrets in only 60 minutes! Will hidden clues reveal distant family secrets? Can you gather enough evidence and piece the story together to prove your innocence? And the biggest challenge of all… is it even remotely possible to solve the mystery before the clock strikes 12? Failure means a life behind bars…..
We completed this room in a little over fifty minutes. It was basic in nature but still challenging in the fact that it stumped us multiple times. It left us with those “Oh dang it” moments where you feel like you should have known the answer but over analyzed the situation. There were plenty of puzzles where it left us really working hard at trying to decipher the clues. What we liked about the puzzles was that they were simple but still hard to figure out. The beauty of escape rooms is that everybody’s minds solves puzzles and riddles in different ways. Our group has a mix of different mindsets that all work differently but still mesh well together. It helps that we are family and can yell at each other if needed. Overall it was a nice fresh room that we all thoroughly enjoyed. We didn’t feel it was too easy at all. We’d definitely recommend this one. Their hours are 5pm to 9pm Monday through Thursday. Friday 5pm – 11pm, Saturday 12pm – 11pm and Sunday from 1pm – 8pm. Bookings are $20 per person on Monday, $25 all other weekdays and $30 on the weekend. They are running a special call First Play Monday. Players who have never been to Escapology before will receive a $5 off coupon. If you go, be sure to tell them Wichita By E.B. sent you! To nominate your business or event to be considered for a review, please email us with your information. We are always open to suggestions. Only three teams have escaped The Mission 2 at Wichita Room Escape. Are you up for the challenge?